The 2017 grid features plenty of colour but many teams are still a little light on sponsorship. That wasn’t really a problem when tobacco advertising was still a thing and it gave us the added benefit of some amazing liveries. 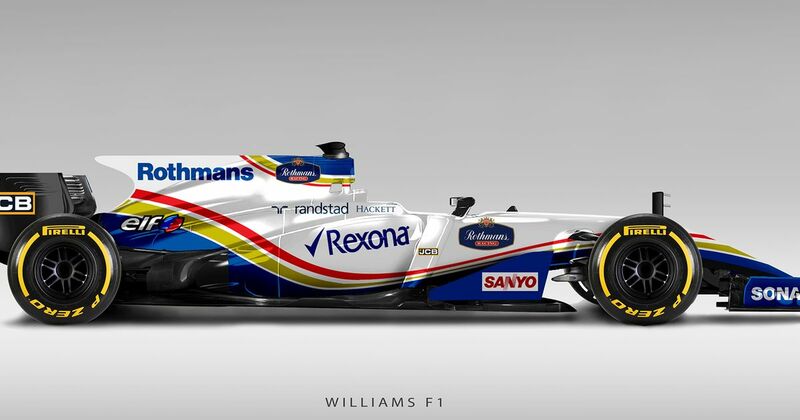 Graphic designer Daniel Crossman has put some classic colour schemes from towards the end of the tobacco livery era on some modern F1 cars and, well, they look great. Ahhh, remember when McLaren had sponsors? It wasn’t that long ago really. They were also a lot faster and a bit more reliable. Sure, this years car may be orange, but it’s not a patch on the West livery, which really suits the modern generation of cars. Aww, no Winfield throwback? Actually, that’s probably a good thing. Much like its current Martini livery, Rothmans colour schemes were iconic across all types of motorsport and it still looks amazing now. The Mild Seven Renaults are some of the great modern liveries, especially when compared to the messy ING ones that followed it. The current car is quite nice, but this just looks…right. Ferrari is still sponsored by Philip Morris, even though the cars don’t have any Marlboro logos. Instead they have massive ‘Scuderia Ferrari’ logos on the engine cover, which certainly don’t look like Marlboro logos if you squint a bit, oh no. The banning of tobacco sponsorship really hit the Prost team hard. Had it not happened then who knows, the team could still be going today. Maybe that’s what Toro Rosso is going for with it’s snazzy new livery? Oh Jordan. The Benson & Hedges liveries were absolutely glorious and when they raced in countries where cigarette advertising was banned, they had the best substitute logos. Who can forget ‘Buzzin & Hornets’ or ‘Bitten & Hisses’? !